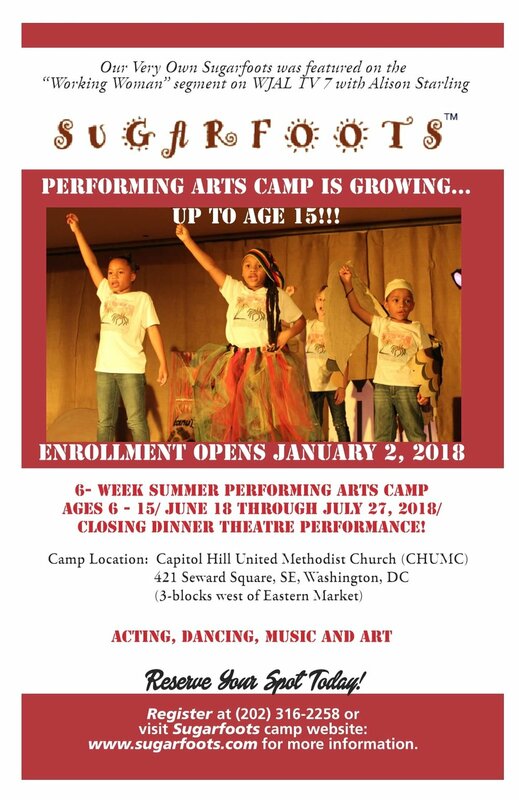 Sugarfoots Performing Arts Camp is thrilled to continue to inspire diversity on the Hill with its Summer residency for the 2018 season at the historic Capitol Hill United Methodist Church, located at 421 Seward Square, SE, Washington, DC 20003 just three blocks west from Eastern Market! Over the years, parents have asked to have the ages expanded and we heard and appreciate all of your feedback! This year we are thrilled to open our doors for ages from 6 through 15! Sugarfoots Camp first debuted in 2009 in the nestled neighborhood of Takoma, DC. 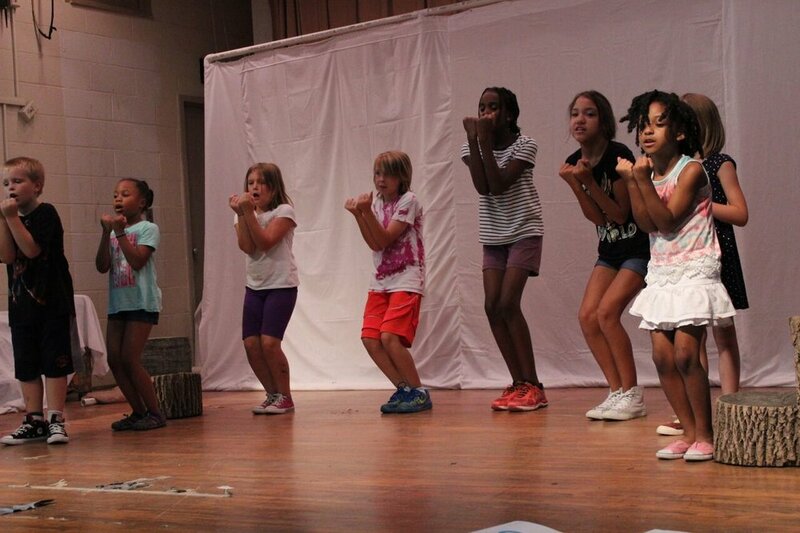 The Camp is under the direction of Barbara El Wilson, Founder/CEO. Our Artist-in-Residences (AIRs) are industry professionals teaching daily the four disciplines of Acting, Dance, Music and Art. 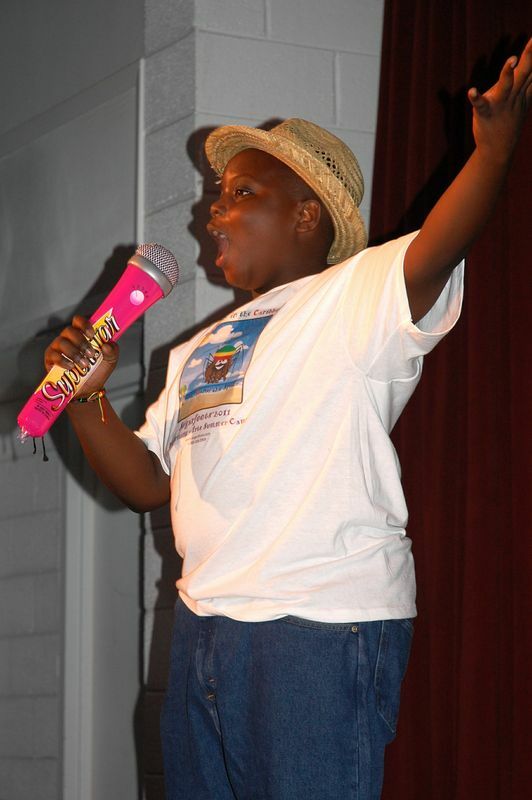 We at Sugarfoots believe, every child deserves their 15-minutes of fame, send them to us and everyone will know their name! 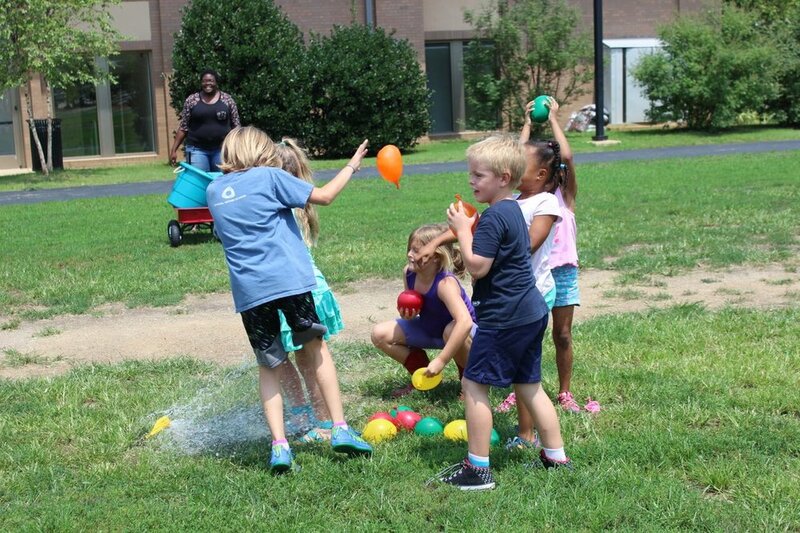 The camp will run Monday to Friday from June 18 – July 27, 2018 for 6 weeks from 9am to 5:30pm each day (no extra charge for early drop off at 8:15 am or late pick up at 6:00 pm.) 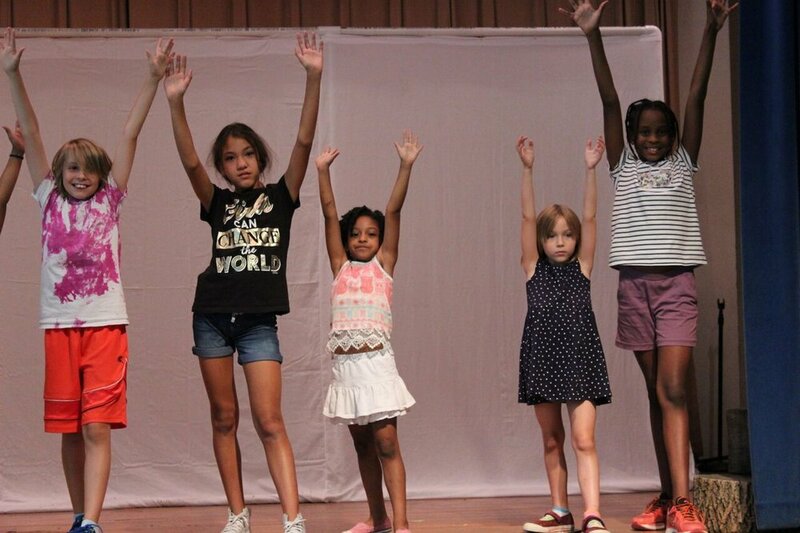 Our closing dinner theatre performance on Friday July 27, 2018 is an electrifying event that brings the community and families together to celebrate our budding young stars' 6-weeks of dedication and drive! Call me anytime with any questions you may have or to discuss any aspect of our Camp. We look forward to meeting you and having your “stars” with us for our summer 2018 season! It is going to be fun, fun and more fun!